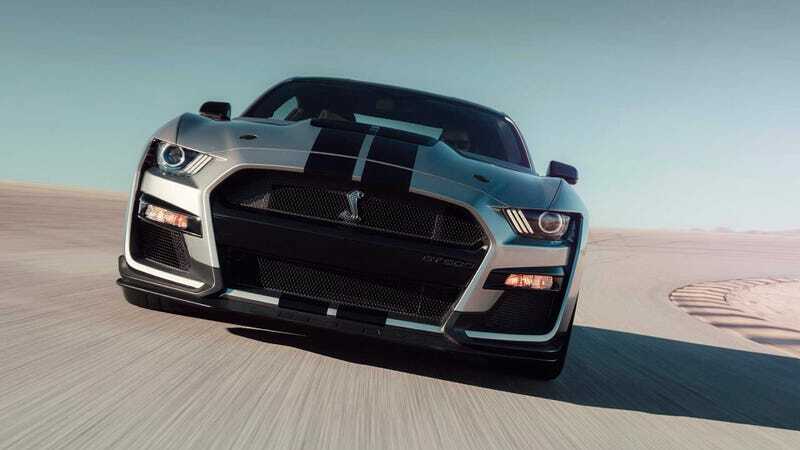 News that the 2020 Ford Mustang Shelby GT500's top speed would max out at a limited 180 mph yesterday really seemed to bum people out, with some even saying the Fun Police had been involved in the decision. Assuming you could even find a place to go faster, we asked Ford why they won’t let you. The answer is simple; where the hell are you going to go faster than 180 mph? Even illegally, and even on most race tracks, your options are extremely limited. Our Ford Performance engineers and professional drivers were given a goal of making the all-new Shelby GT500 as fast as possible at both road courses and the drag strip, all while remaining comfortable and engaging on the open road. The spokesperson followed up to clarify that the limited speed of 180 mph on the car exceeds any of the speeds the team was able to accomplish in development and testing, on both the physical tracks they tested at and in virtual simulations. When asked to clarify which tracks Ford tested the GT500 at, the spokesperson said NOLA Motorsports Park and Virginia International Raceway played a significant role in the development of the car, as well as drag strip testing and additional driving at other tracks, either physically or virtually. I struggle to think of a safe, legal location for you to take your car faster than the individuals involved in its development did, so what is everybody so bummed about? What are you trying to prove? And if you don’t want to take my word for it, we asked pro racing driver and Jalopnik contributor Robb Holland which tracks could support you, conceivably, going that fast in this car. The answer is: not many. Jalopnik reached out to the Fun County Police Department and will update if we get any additional information about their intervention in the development of the GT500.